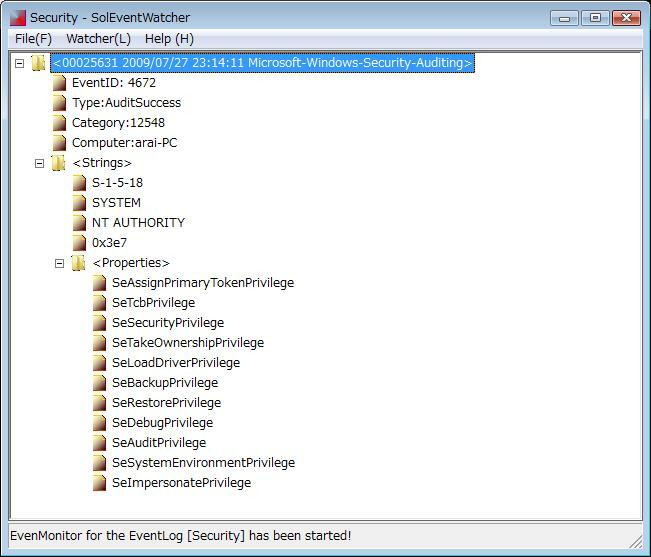 SolEventWatcher can be used to watch or spy what's happening behind the Windows systems. See Figure 1. 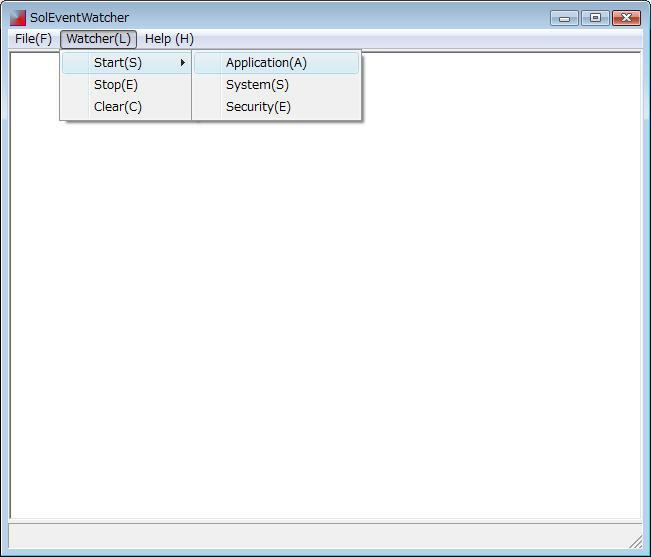 This tool is implemented by using a well-known Windows API 'NotifyChangeEventLog'. 1. 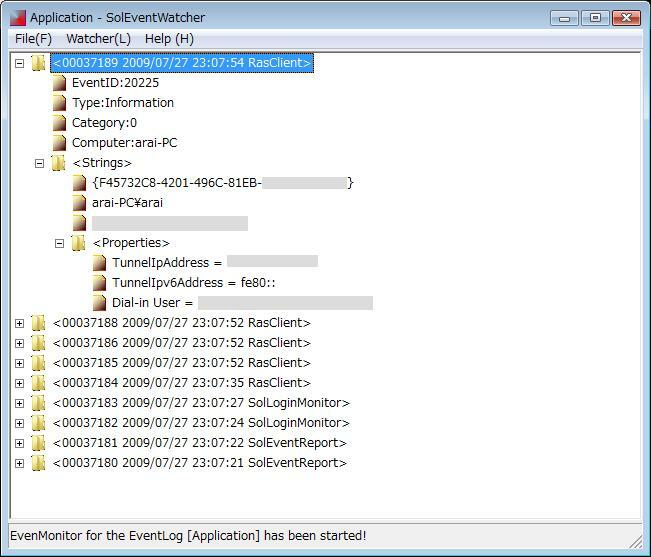 Run SolEventWatcher program on your desktop, then a Windows window will be displayed. See Figure 1. 2. 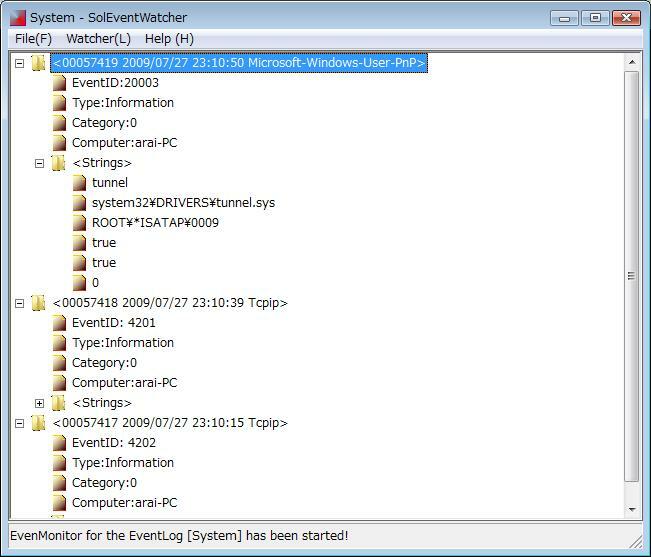 To start a watch of Event Logs, select [Start] item of a pulldown menu for [Watcher] menu. Then, select an item from the items(Application, System, Security) of the submenu. 3. To stop the watch, select [Stop] of a pulldown menu for [Watcher] menu. 4. The latest detected Event Log information will be displayed on a top line in a treeview of the window.